Composite Investment is a Bangalore-based broking agency that has been working for several years and has served lots of satisfied customers. Composite Investments Sub Broker supplies full-service broker facilities to its customers and agents. Extending its services for a long time, Composite Investment has a profile of good experience in the field of broking and has served many happy customers. The customer rating given to Composite Investments is average which is entirely satisfactory as well as fulfilling. The agents and customers who have been a part of the company claim that Composite Investments are reasonably good; they have rated the company as average in its services, products, experiences, support, trading platforms, offers, market share, etc. The overall rating after combining all these matters comes to show that the enterprise has earned 3 out of 5 stars which are satisfactory. Composite Investments is a Private company that provides full brokerage services since the year 1995 when it was set up by Mr. Satish Dutt. Its head office is located in Bangalore, Karnataka and it is operated from there. The Sub Broker Activation time that is required by Composite Investments is 30 days and the Payout time extends up to a maximum of 31 days. The Share Sub Broker Model by Composite Investment provides other numerous sub-brokers its own franchise and allows the brokers the freedom to work under the name of the company. The monopoly of business is allowed in this model wherein two sub-brokers from the same enterprise are allowed to work together at the same place. The commission that the brokers working for and under Composite investments receive is a minimum of 50%. This percentage can range as high as the amount of security that has been deposited by the brokers as the Initial Cost. 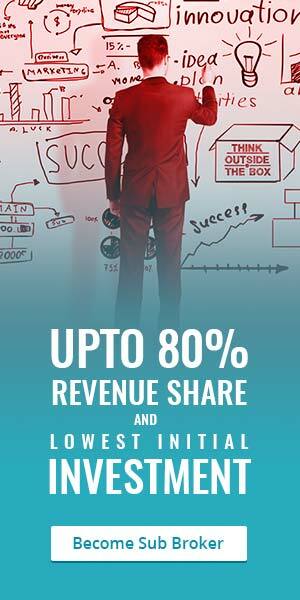 The maximum revenue that can be generated by the sub-brokers working under the firm is 75% of the leads that the sub-brokers have provided to the company. The brokers involved under the referral program can generate revenue of up to 10%. This percentage can increase according to the amount of security deposit procured by them. For the Sub Broker Model, you need to deposit a minimum of Rs. 50,000 to be part of the organization. It is essential to keep in mind that this amount acts as just a blockade and the whole amount will be refunded back to you once your partnership with the firm is dissolved. The maximum amount you can reserve with the company is Rs 200,000. The higher the amount of reservation would be the higher will be your rate of returns of profits. For the Referral Program model, you will not be required to pay any amount as a reservation. Office Area of at least 100 sq. feet. However, it does not allow flat revenue sharing and zero revenue sharing with prepaid. The charge for equity delivery is 0.1% to 0.2%, for equity intraday, 0.01% to 0.02%, for equity futures, 0.01% to 0.2% and for currency futures is 0.01% to 0.02%. That for equity options is Rs 10 to Rs 20 per lot. The currency options vary somewhere in between Rs. 7 to Rs. 10 per lot. And that for the commodity varies between 0.01% to 0.02%. Composite investments charge its customers, clients, and sub-brokers in a very decent manner. They charge Rs. 300 per Annum for Demat AMC. The charge for Trading AMC is free. They offer zero account opening charge. The transaction charges go up to 0.00310%. The margin money is set at a minimum of Rs 10,000.